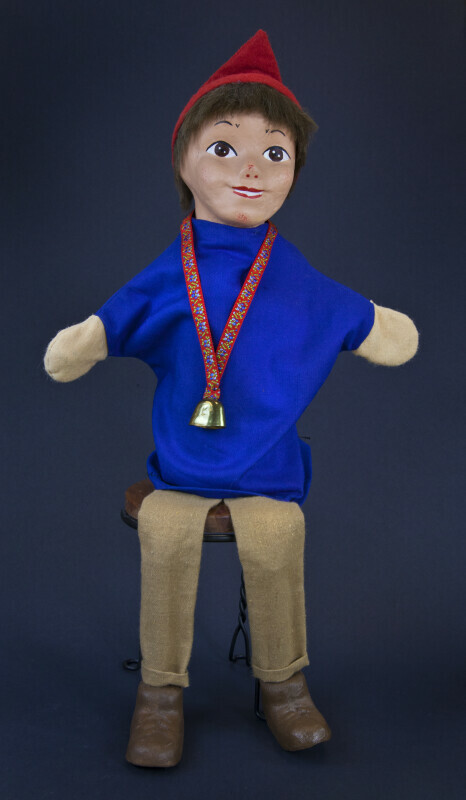 Hand puppet of Swiss lad with a bell around his neck. His body is made from cloth material, and his head and shoes are composite molds. He has a blue cotton shirt, red felt hat, and cotton khaki pants. This figure stands 16 inches (41 cm) tall.